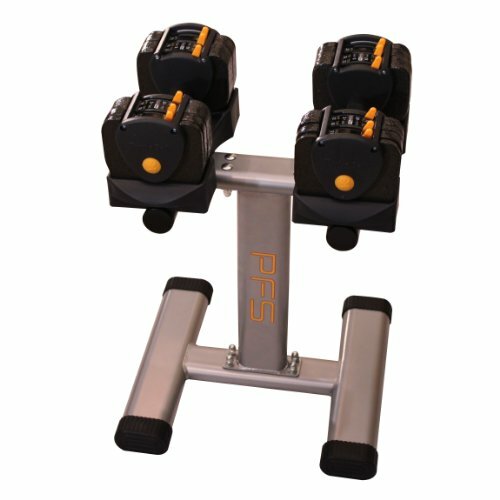 Adjustable dumbbell set with durable steel stand. The set includes 2 dumbbells that adjust in 3 lb increments from 3 lbs to 24 lbs. The TB 324 is compact, easy to use and adjust and replaces 215 lbs of conventional dumbbells. If you have any questions about this product by PFS, contact us by completing and submitting the form below. If you are looking for a specif part number, please include it with your message.